The latest pay-what-you-want Game Music Bundle includes all soundtracks from the Bit.Trip series alongside the upcoming sequel. We've reported on quite a few indie bundles in recent years, but perhaps one of the most unique is the Game Music Bundle. As the title implies, this service offers an entire library of videogame soundtracks for the lucrative price tag of "pay-want-you-want". Its sixth pack went live earlier this week and contains all soundtracks for Gaijin Games Bit.Trip series at the starting price of $1. If you're not convinced you'd want music without a game, Game Music Bundle still has you covered. All contributors who drop $20 or more into the pot will be awarded a Steam preorder for Runner 2: Future Legend of Rhythm Alien, which launches in just a week and a half. Runner 2, the direct follow-up to Bit.Trip Runner, will be the first Bit.Trip entry to warrant a direct sequel since the series began. Each previous Bit.Trip title adopted a very different play style, but on the whole, the series is recognized consistently for its 8-bit aesthetic and chiptune-styled soundtracks. The new game is already available for preorder on Steam for $13.49, but with each soundtrack valued at $6, the Music Bundle price offers a terrific value. As an added bonus, the top-paying contributors for this bundle will be awarded a limited selection of prizes. The top ten Music Bundle buyers will receive Bit.Trip t-shirts depicting series protagonist CommanderVideo in all his glory, while the top five obtain an unrevealed poster for Runner 2. The real bragging rights naturally will go to the top contributor, rewarded with a CommanderVideo maquette to display on the desktop, shelf, or otherwise flat surface of choice. As of writing, the current top contributor has set a price of $60, three times the amount to obtain Runner 2 but still well within the bundle's regular price. So if you're interested in trying a unique game or simply listening to its iconic music, it's hard to argue with the value of this set. 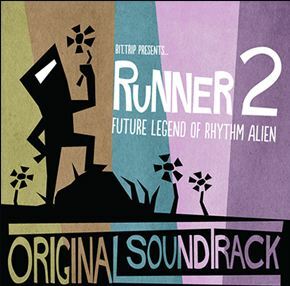 The current Game Music Bundle will be available until the morning of February 21, and any Runner 2 Steam codes will arrive by email on February 26.